Just picked this up today, needs a few things done before using on a regular basis. Found a factory service manual on Amazon and it's on the way. wow that is clean! welcome! 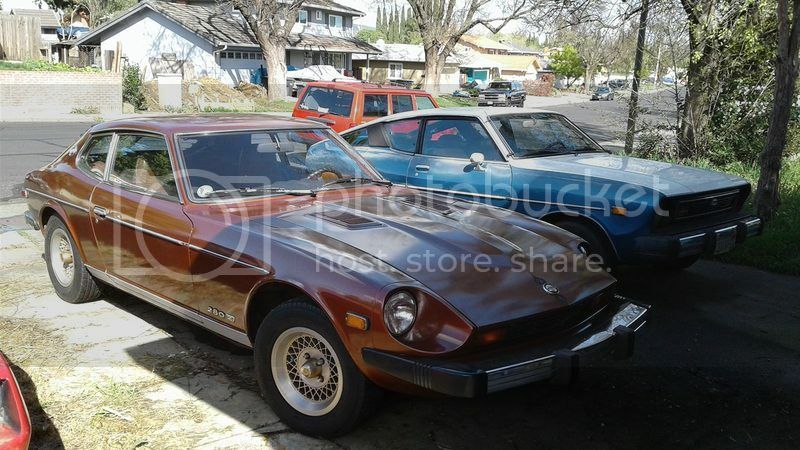 A clean Z in California? Must have cost a fortune! Was $4300, has had a repaint in the same color (301 Brown Metallic). Short term plan is to fix things like the locks and linkage to make it useful for a daily driver while I get some work done on the B210, the long term is to make a Grand Tourer style car. Still working on fixing things like the headlights and clutch, but got new window cranks and a dimmer/turn signal switch installed. Back seat in OK condition. I can get more details if you're interested. You want spare glass? Its unique to the 2+2 model. 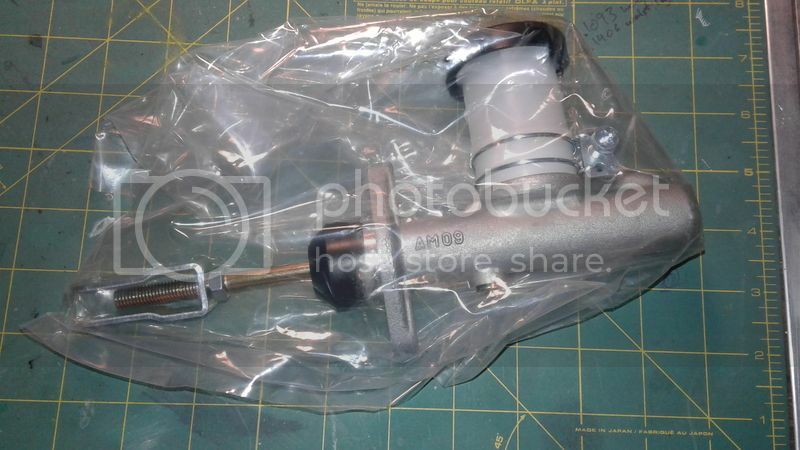 Got a shipment from Rockauto and Zcardepot, need to send the Kia Sephia/Spectra clutch master cylinder back though. Rockauto sent a Exedy MC559 instead of the Exedy SC559. Parts are still making a thud on the porch, Exedy clutch master cylinder. are you replacing the clutch slave cylinder as well? 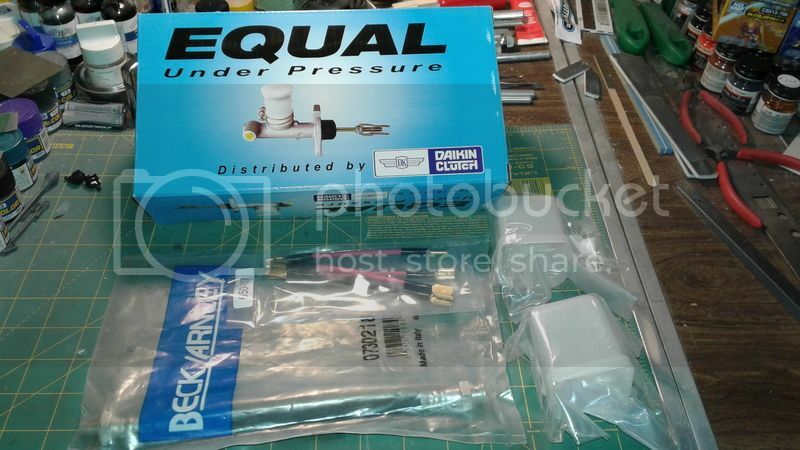 If the slave is weak, it can blow out the seals soon with a brand new master cylinder. 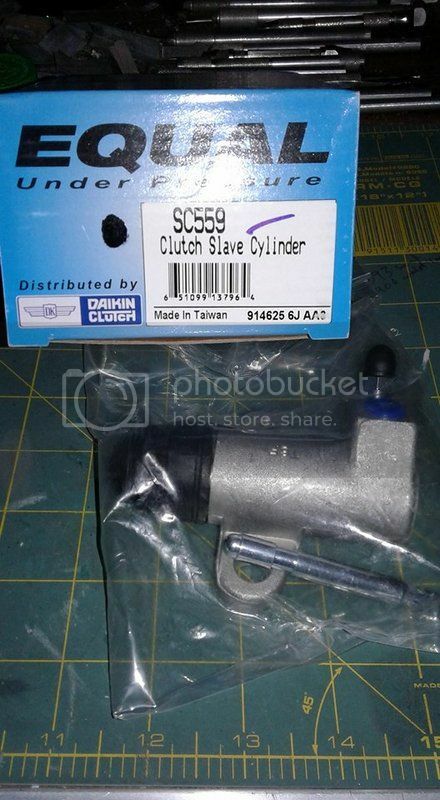 Yes, waiting on the slave cylinder because Rockauto sent a clutch master cylinder for a Kia (part #MC559) instead of the clutch slave cylinder (part #SC559). The slave cylinder finally showed up. You'll be shifting through gears in no time! Well I'm done with it, tired of chasing electrical problems with the headlights. Good Sylvania headlights from the B210, new fusible links, fuses, working headlight and dimmer switches but still have bright/dim or dim/off combination. Got the turn signals working with a new relay but not happy if only relegated to driving during the day. Still need to replace the clutch master and slave cylinders. Also need to look at parts for the door locks. The turn signal just needed a new flasher relay, the original Niles came out and the new one went in with the original bracket. This is starting to be like the '86 Camaro IROC, dumping money into it just to get it running right. My dad replaced the Exedy slave cylinder with one from the parts store while I was at work, aside from adjustments to the pedal the clutch works. While pricing out a new exhaust system for the Z we found out its a federal model. What would be needed to be done to the engine if I wanted to put a header on? Ran it through smog testing and it failed, after having it checked out by a mechanic there's a laundry list of problems. I know a engine rebuild was in it's future but was hoping it would get by one smog test, any recommendations on engine building services in the North Bay aside from Rebello Racing in Antioch. Consider selling that one and buy one that's 75 and older, then u will not have to deal with smog. Are you going to be bankrolling this? No, just trying to save u some heartache, been der. You had several cars that you dump money into and just don't want see you go through again. Well my name isn't on the title and to simply throw around money for another isn't a option. Your answer might as well be one from the Camaro forums I was on when I was driving mine, never giving anything helpful but just posting to seem relevant. Picked up some free wheels. Looking at replacing the off brand aftermarket stereo head unit, don't know if the speakers were replaced. Planning on using Pioneer but recommendations for speakers and head unit.